It’s a shocking fact: one in four American children will grow up not learning how to read. Also, some children struggle with basic mathematics concepts, and many lack self-confidence. As parents and educators, it gets painful to watch children struggle to read, write, work with numbers, and not try anything new for fear of failure. We wish there was a magic wand to wave over a child to solve those problems or a key that unlocks the door behind which these skills are hidden deep somewhere in the child. But maybe it’s not a magic wand we need. Maybe it’s a conductor’s baton. Maybe the keys we need are on a piano, or even on a flute. Whether it’s learning an instrument or how to confidently belt out a show tune from the stage, learning music can develop or even augment a young child’s literacy skills. Learning music means more than just listening to classical music at an early age to allegedly increase brain power. It means actually learning to play an instrument and read music, learning to follow rhythms and count beats, learning which fingers go on which keys or strings to produce which sounds. It means developing eye-hand coordination, which, according to Christopher Bergland writing for Psychology Today, improves cognitive and social skills. It means learning tone, pitch, and timing to improve language processing. What are some other ways that learning music at an early age improves children’s’ literacy skills? It can help with word pronunciation, which is essential because it is a main component of learning to read out loud. It can be difficult to get children to pronounce words correctly, but music — specifically singing — can teach children to divide words into units and articulate each sound that each unit makes. Music also teaches basic mathematical concepts like counting. If you ever took lessons on an instrument or learned how to sing, you’ll remember how important it was to count the length of each type of note as you held it. Music also teaches the science involved in sound and hearing since it involves pitch and vibration and frequency. It also teaches problem-solving skills because learning to play an instrument correctly involves patience, which is important later in analyzing how to approach a certain task. 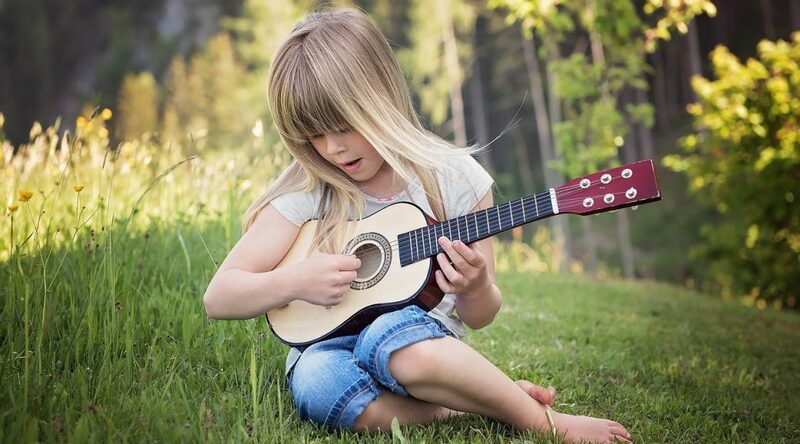 What’s more, learning how to play music helps a child concentrate and be more mentally alert. Overall, music helps children develop cognitive abilities that will help them throughout the rest of their education and well into their adult lives. But, as mentioned earlier, music can also have an effect on a child’s confidence and self-esteem. As the child matures with his or her instrument of choice, parents might consider converting a room into a practice area. This will be the place where the child can be creative with the instrument and maybe even invite other friends who play over for a jam session. Consider, however, the expense of converting a room into a studio and practice area. However, there are some shortcuts you could take, such as weatherproofing the door, hanging a rug on the wall, or even adding heavier curtains. Regardless of whether the child has a dedicated room for practice, the benefits of learning a musical instrument at an early age are clearly beneficial. The skills children learn will stay with them for the rest of their schooling and through the rest of their lives.